The holidays can be a very hectic time – both joyous and stressful. Add to it colder temperatures and shorter daylight hours, which can darken moods and zap energy. During Advent, we wait in ever-deepening anticipation of what is to come, and what has been promised. We wait, preparing to move from darkness into a life of light and spiritual awakening, as marked by the arrival of Winter Solstice and the celebration of Christmas. We wait, and we begin to open our hearts wider to let the light in. Give yourself space throughout the day to welcome, little by little, the return of natalis solis invicti, or the birth of the unconquered sun/Son. Change up your schedule to share a leisurely breakfast or lunch with a loved one. Go for a long walk with your dog at night and admire the Christmas lights. Play music and dance in your kitchen while baking treats. Snuggle up with your sweetie on the couch and be truly present in the moment you’re sharing. Visit a chapel, sit in the pews and allow the silence to undo the knots in your soul. 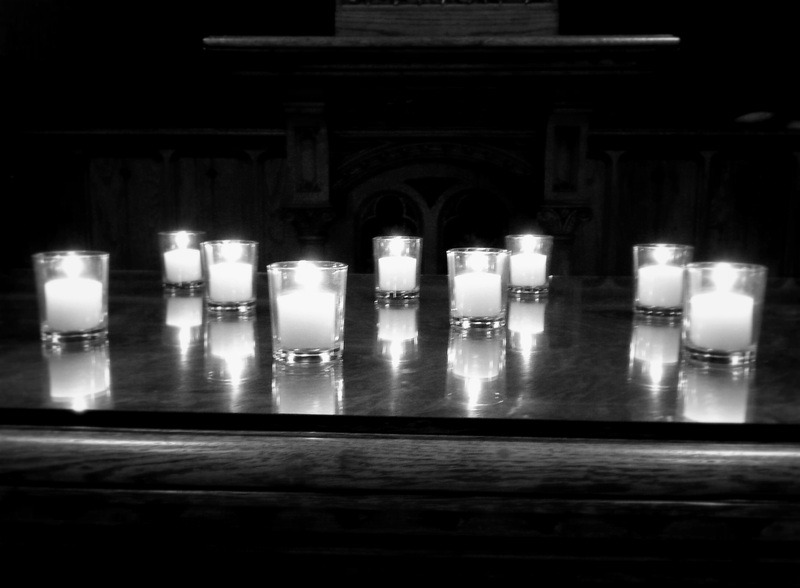 Light several votive candles, offering prayers to those who may need comfort and peace. Tags: #24daysofgiving, Advent, devotions, heart, light, prayers, silence, solstice. Bookmark the permalink.